If you want to move into a higher state of consciousness and head to a galaxy far far away, then the UFO joint is for you. Today’s UFO joint comes courtesy of 420guide and is one of the craziest looking joints out there. If you want to move into a higher state of consciousness and go to a galaxy far far away, this is the joint to do it with. Lay out your king size rolling papers, and begin overlapping them one on top of the other in a clockwise or counter-clockwise rotation. It doesn’t matter which way you go for the detailed rollers out there. In the video they use orange juice as an adhesive between each layer, but you could use honey or keef, whatever suits your palate. No, not the stems of your weed. You will need to create a stem to inhale from. As in previous Spliffigami’s you can use anything with the same consistency as a fast food flyer. Slightly rigid is the key to success here. Roll it tightly! Remember, if you are using a filter, don’t forget to put it in before you roll it. After completing the base you will need to build some walls. 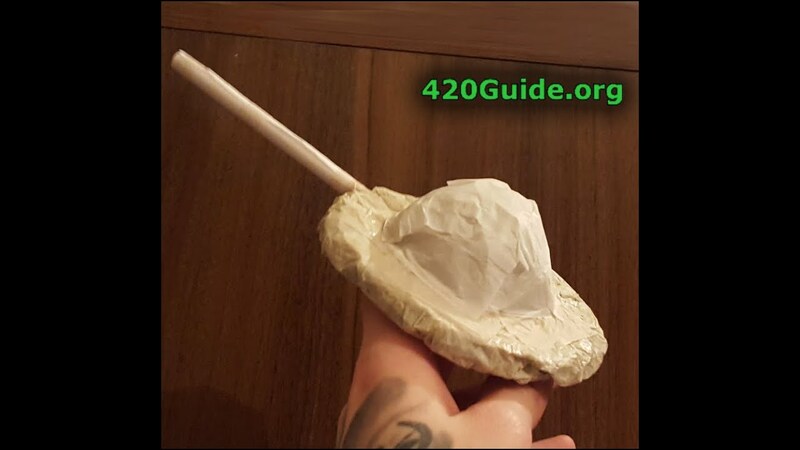 This is accomplished by taking regular sized rolling papers and sticking them (perpendicularly) to the ends of the base, creating an outer circle around your base papers. Once you have completed this, you will need to do it again, adding another layer to the top of your first wall. Now it’s time to fill up your UFO. Place the end of your stem in the middle of the base. Keeping it centered, fill the base with your weed. Once you have it as full as you want, fold over the sides of your walls like you’re making a Crunchwrap Supreme from Taco Bell. After you stick all the sides, press it down a little so the lump of weed in the center creates a bit of a dome. The rest should be flat. Take some rolling papers and build a small tee-pee leaving one side open so you can put even more weed in there. Once full, use more rolling papers to seal it off and Voila! You have a UFO joint of your very own. Check out the video below to see it made. And as a bonus, check out this video below of them smoking it! Did you use two different kinds of alien weed strains to fill your UFO joint? Share your success stories with us on social media or in the comments below.